Oh the peace of mind that comes from having a few packages of marinated chicken in the freezer. 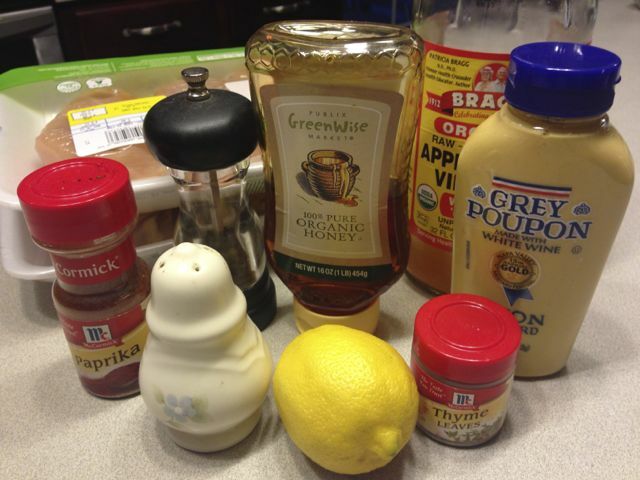 I like to have some barbecue, some italian (plain old italian dressing) and my new favorite is this Dijon Chicken Marinade. 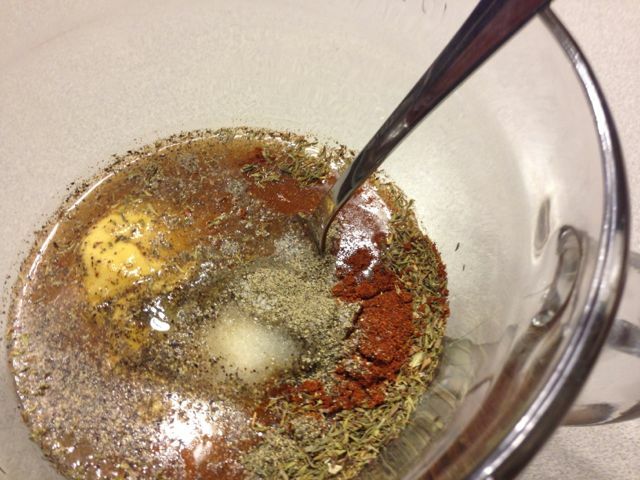 The original recipe calls for smokey paprika, but this is what I had and it tasted good to me. And I’m sure store brand dijon would be just fine. 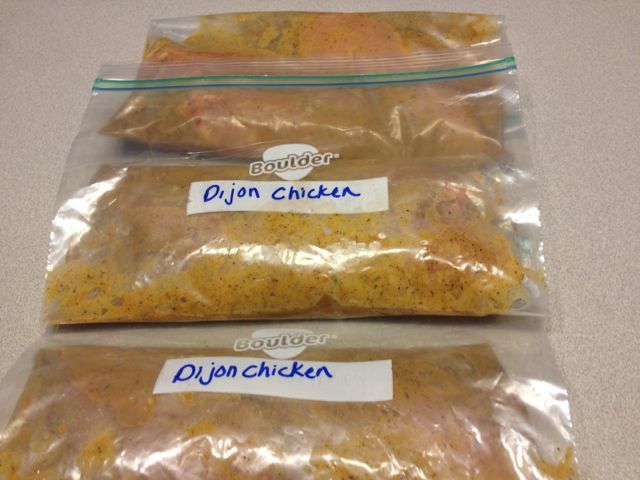 Go ahead and label your freezer bags now so you won’t get carried away with all the excitement and forget. Mix all the ingredients (except the chicken) in a bowl. Keep this marinated chicken in the freezer for quick grilled sandwiches or a hearty grilled chicken dinner. 6 boneless, skinless chicken breasts, cleaned and dried with a paper towel. 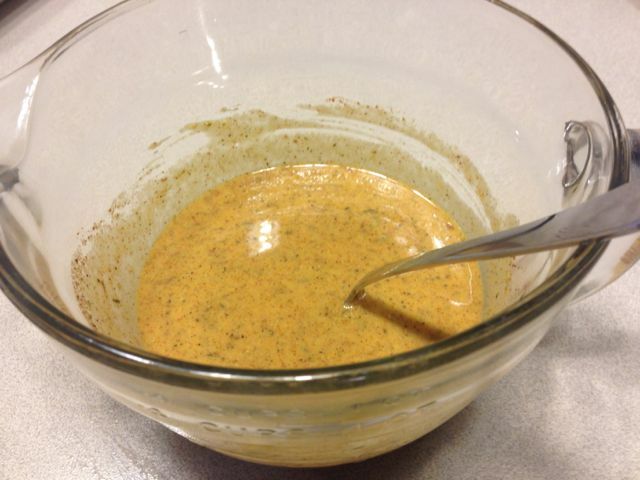 Combine mustard, vinegar, and honey in a small bowl and whisk until smooth. Place chicken breasts in a large plastic storage bag. 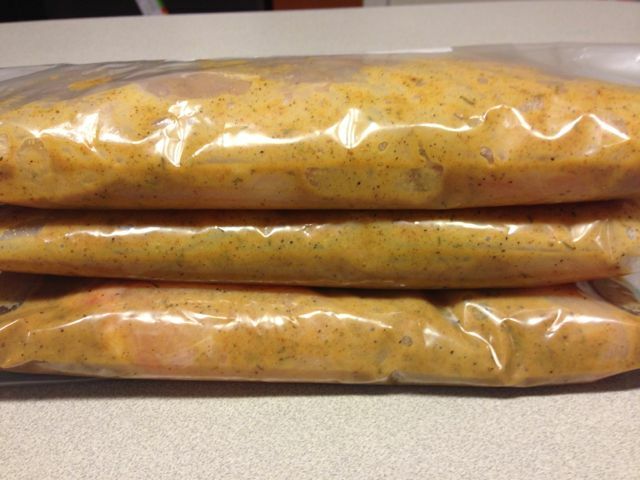 Pour marinade over the chicken, close bag and squeeze to evenly coat chicken. Transfer to freezer once it's cool, or chill for one hour and then grill and serve. Allow chicken to sit 10 minutes before slicing.